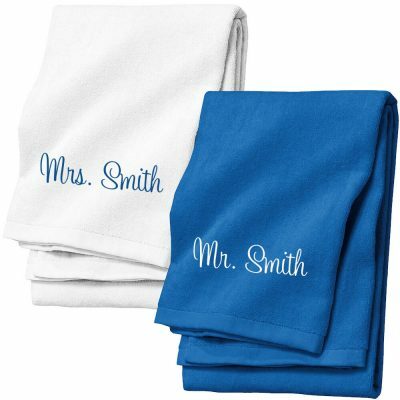 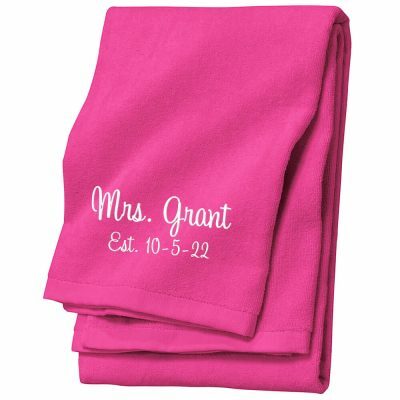 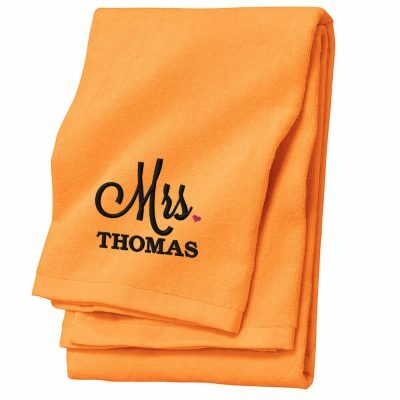 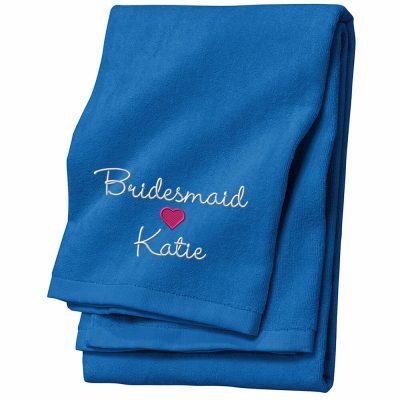 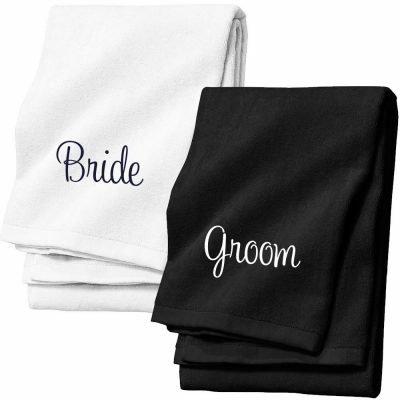 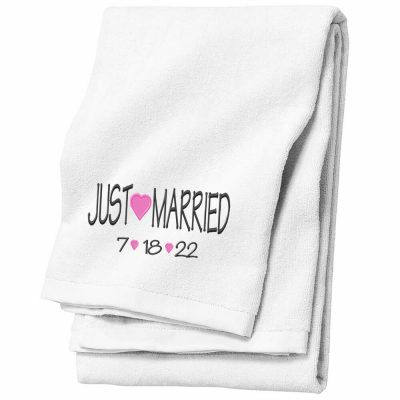 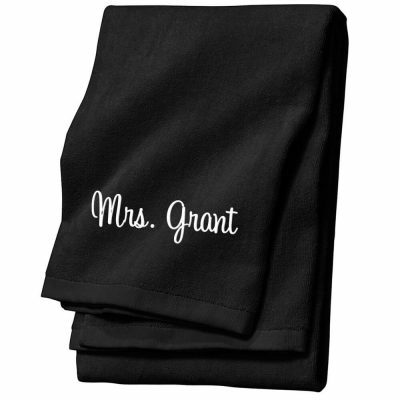 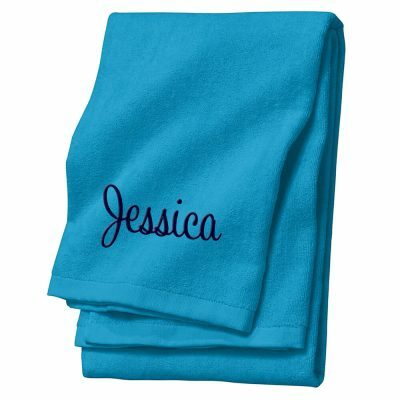 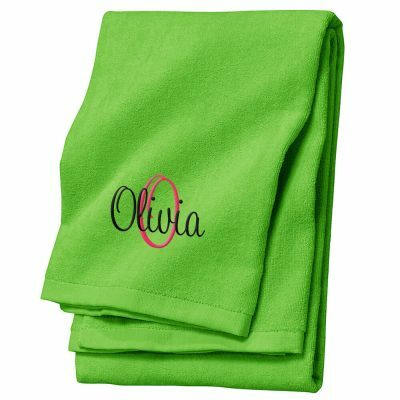 Personalized beach towels are a great gift for the bride and groom! 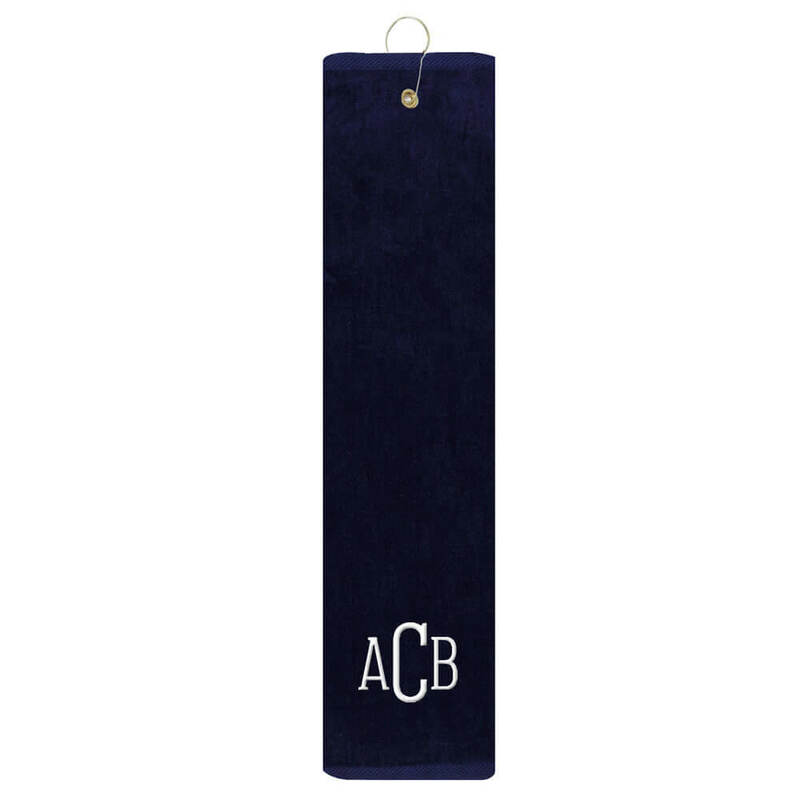 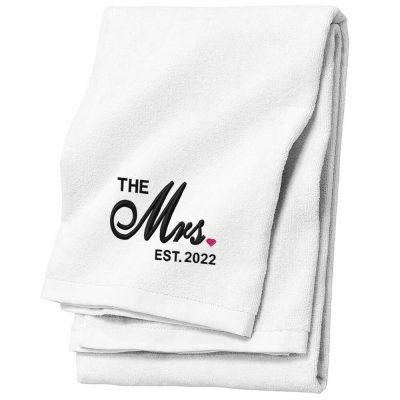 Choose from our great selection of Mr. and Mrs. beach towels, Bride and Groom beach towels and monogrammed beach towels that are perfect for their honeymoon! 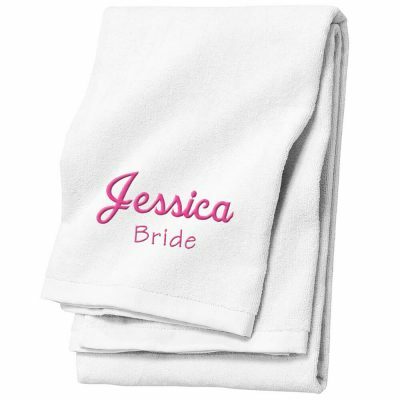 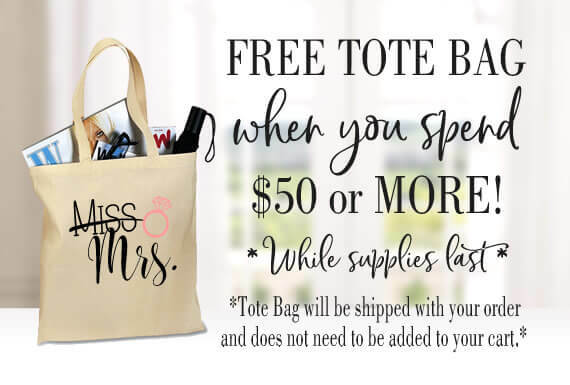 Or, if you are going on a trip for your bachelorette party, then our bridal party towels and gift bags would be a fun gift! 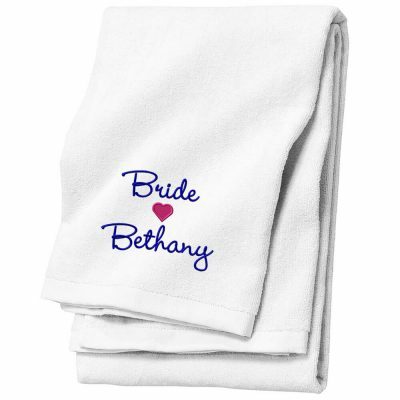 We even have beach towels and gift bag sets that are personalized with the bachelorette party details. 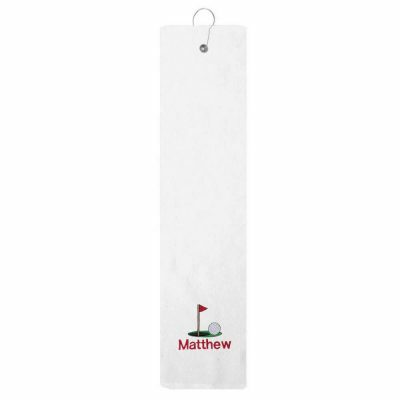 If your groomsmen are golfing enthusiasts, then our personalized golf towels are a unique gift that your groomsmen will love! If you can't find the exact design you are looking for, then you can create your own towel!